What kind of champagne maker do you want to work with: NM, RM or CM? Do you understand the difference between these three? 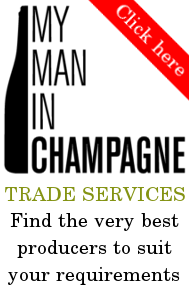 What type of champagne are you looking for: Blanc de Blancs, Blanc de Noirs, a blend, rosé champagne, vintage champagne…? How many bottles will you need this year and in 5 years’ time? Have you already designed a logo, a colour scheme and a visual identity the for the brand? Do you have in mind a name for your brand? Have you done any research into the name to ensure that it is not already registered? 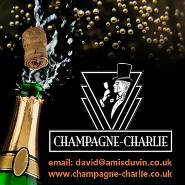 Is your preferred name likely to be approved by the regulatory body in Champagne? Which quality of cork do you require - there are at least 4 different grades? Do you want a generic cork or a branded cork? Do you want branding on the top, sides or bottom of the cork? Do you want branding on the capsule? If so, a logo or text? Will the text fit in the available space? What colour wire do you want? Do you want an easy-open tab or not? Do you want branding printed on the foil? What size and shape label? Will your preferred size and shape fit on the champagne maker’s labelling machine? Have you already had a label design created? What colour, type and quality of paper? How many colours need to be printed? Do you want a different type of label – metal for example? Do you require a standard, or special, bottle shape? Would you consider a plastic sleeve on the bottle to achieve the effect you want?